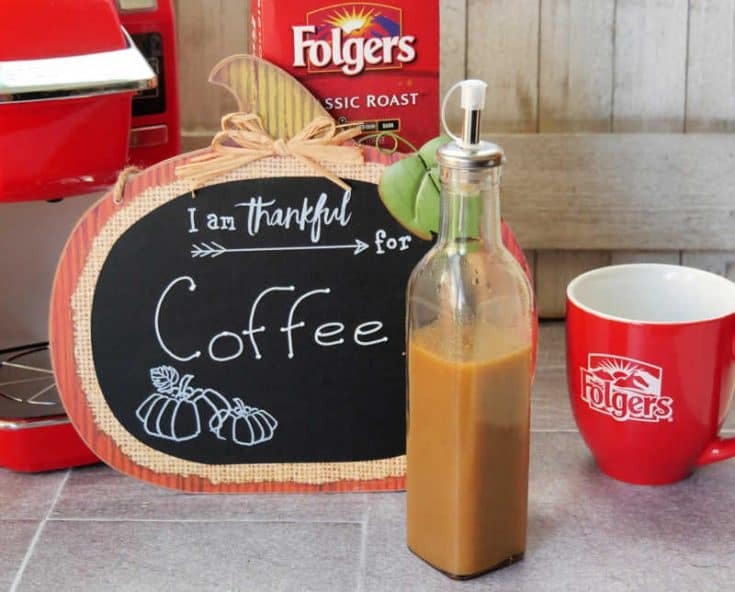 Celebrate National Coffee Day with a family friendly coffee bar for making a homemade pumpkin spice latte and other fun coffee themed games. 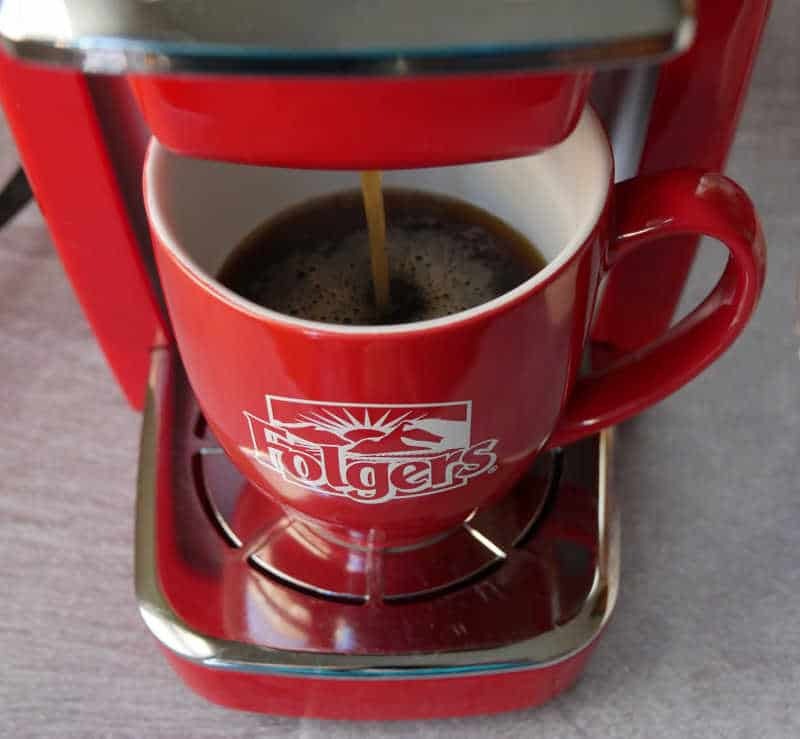 Happy National Coffee Day! Did you know that September 29th is National Coffee Day? Now you do and it's another great excuse to drink coffee. And it's even better this year (2018) because National Coffee Day falls on a Saturday. 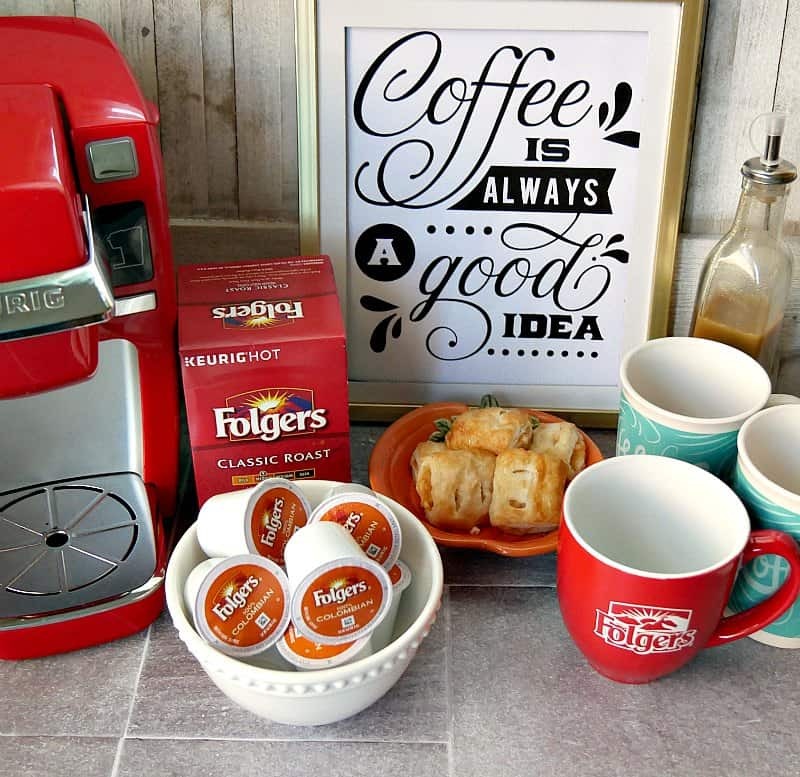 Go all out and set up a coffee bar at home for your family as you enjoy the weekend. 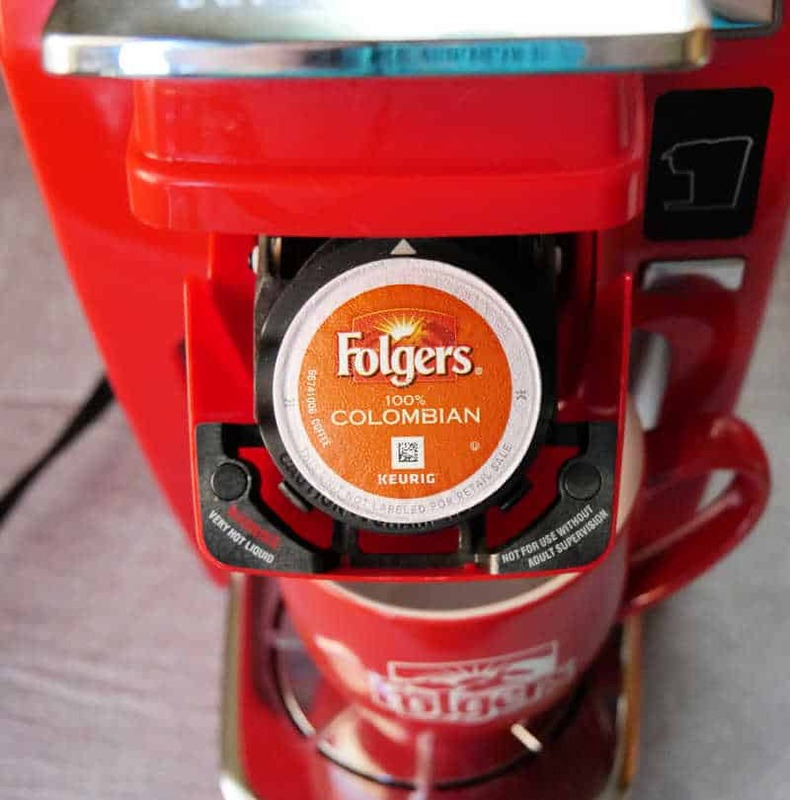 Your National Coffee Day celebration does not have to be extravagant. Just being together with family should be the focus. 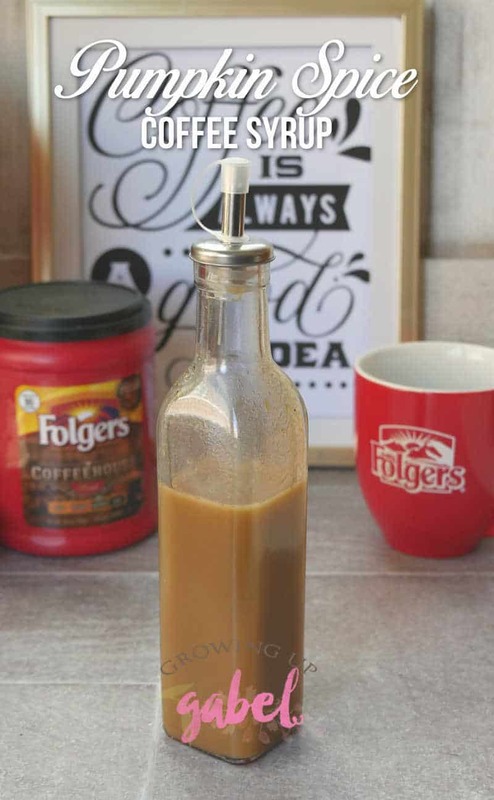 Make your own little “coffee bar” on a kitchen counter. 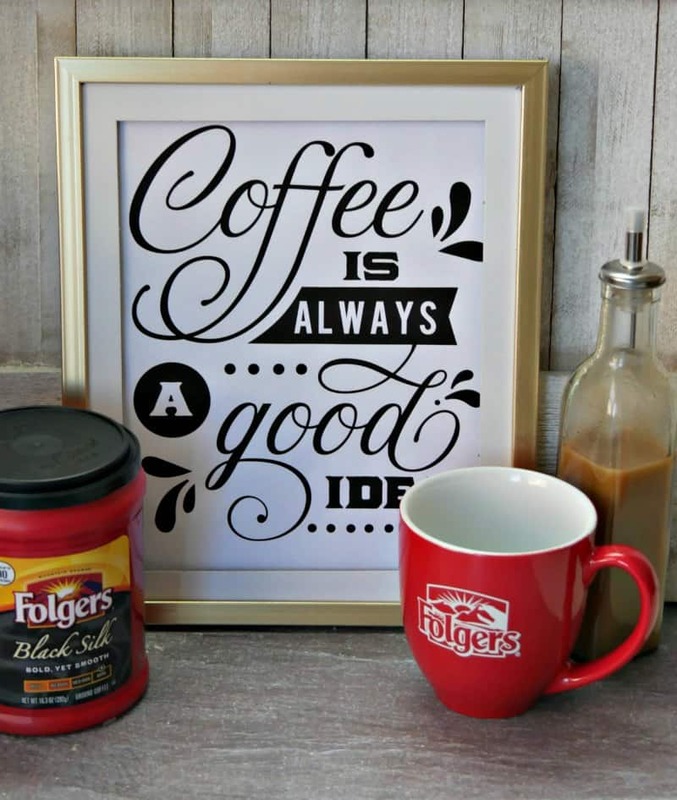 Cute coffee cups and a fun coffee quote add a little decoration. Bite size pastries are great for little fingers and big ones, too. 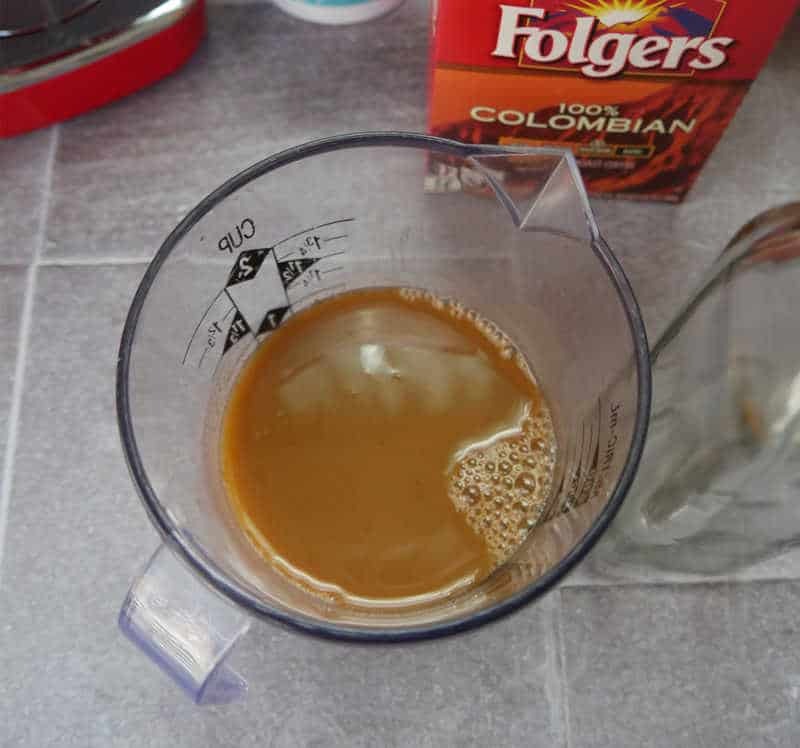 Skipping the coffee shop and brewing coffee at home saves you both time and money. And it's easy to make a “fancy” coffee at home. Since National Coffee Day also happens during pumpkin season, you can make some homemade pumpkin spice lattes using our recipe below. To make homemade pumpkin spice lattes, you will need to whip up a batch of homemade pumpkin spice syrup. 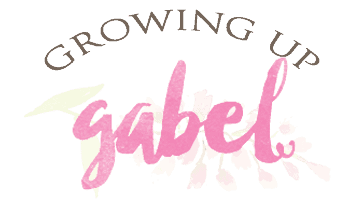 It's super easy and you can even do it just before serving the coffee. 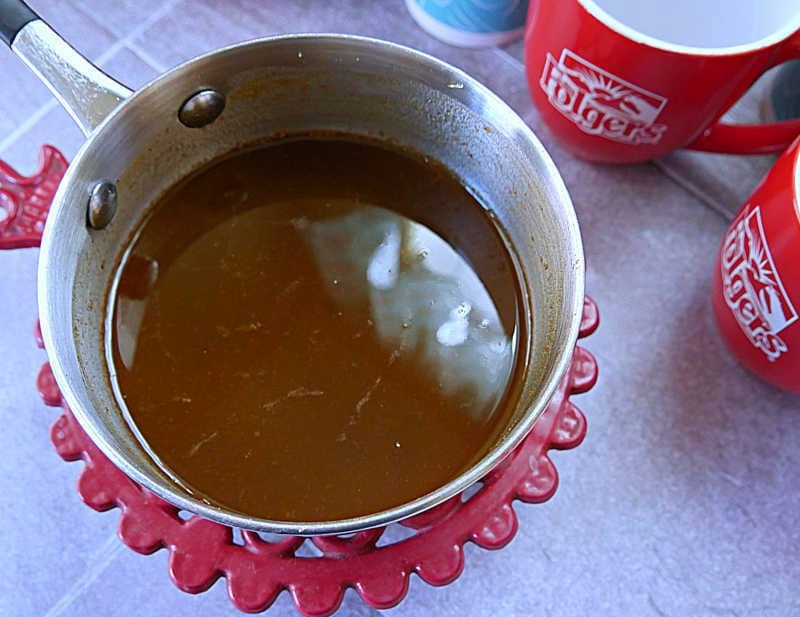 To make the pumpkin coffee syrup, start by putting water, sugar, and pumpkin puree in a small sauce pan. Heat the pan over medium heat until the sugar and pumpkin puree are completely dissolved. Keep stirring or whisking to help them dissolve. Don't let the mixture come to boil. Once everything is combined, remove from heat. Next, whisk in the pumpkin pie spice into the sugar syrup until combined. The spices can be stubborn. Just keep whisking. The final step is to stir in the the sweetened condensed milk. This may seem like it makes the pumpkin syrup too sweet, but it doesn't. 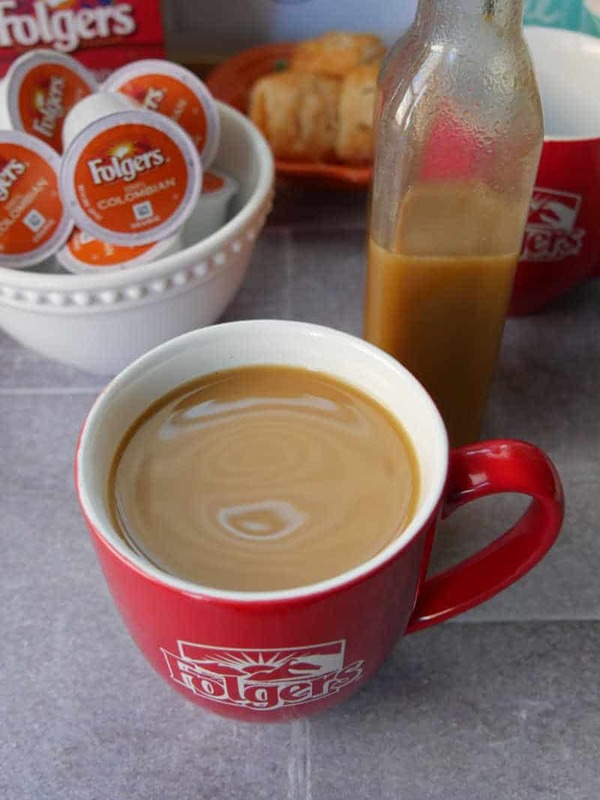 To make pumpkin spice latte, brew up your favorite Folgers® coffee. 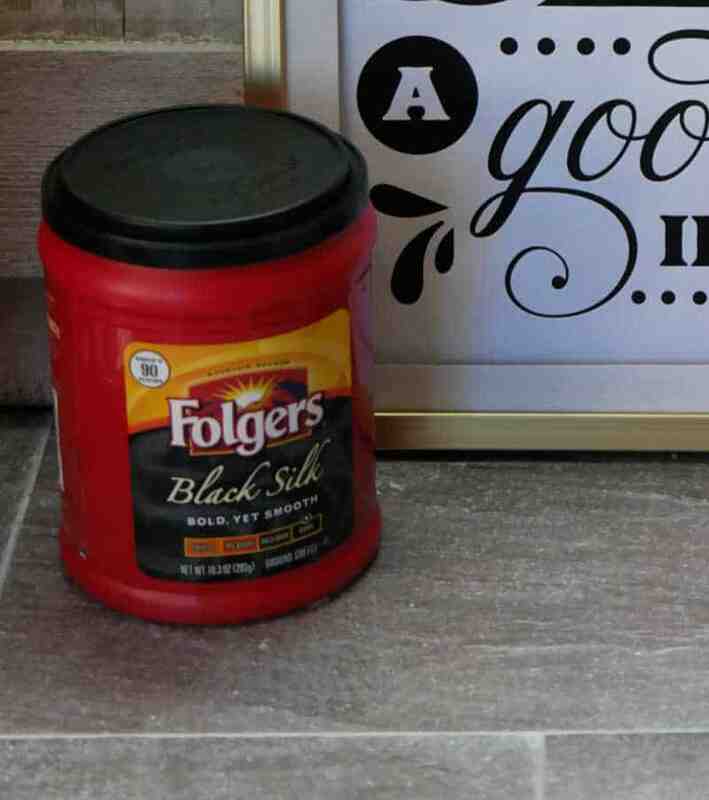 We suggest using Folgers® Black Silk coffee,which is a dark roast coffee, for the lattes. Stir in a tablespoon or two of the pumpkin spice syrup. Add as much creamer, half and half or milk as you like. A touch of whipped cream is always great, too. 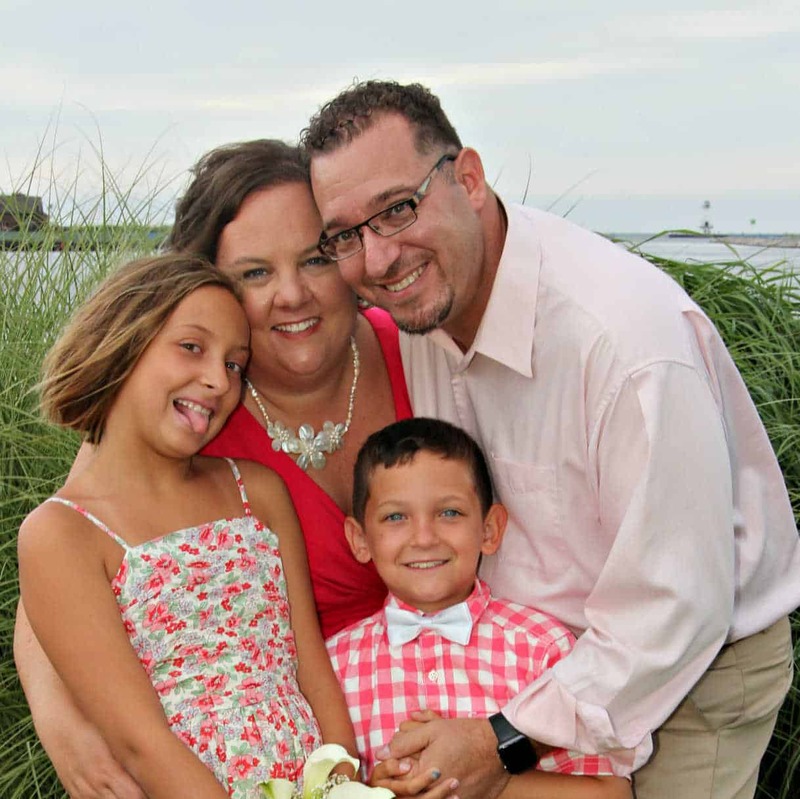 We hope you enjoy your National Coffee Day celebration with your family making memories and sharing time together. 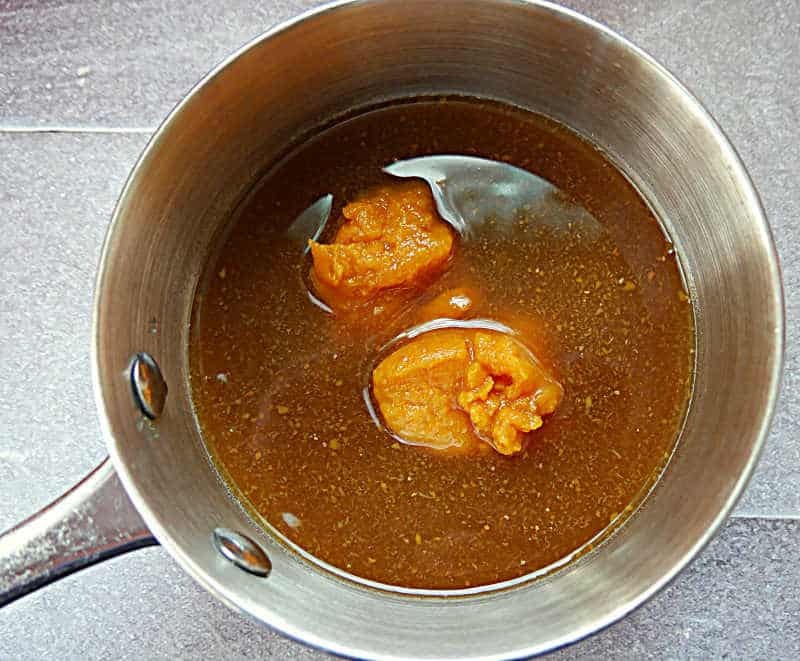 Put water, sugar, and pumpkin puree in a small sauce pan. Heat over medium heat until the sugar and pumpkin puree are completely dissolved. Remove from heat. Whisk in pumpkin pie spice until combined. Finally stir in the sweetened condensed milk. Stir in an air tight container.